The Phaser Peak is an outstanding trekking boot. 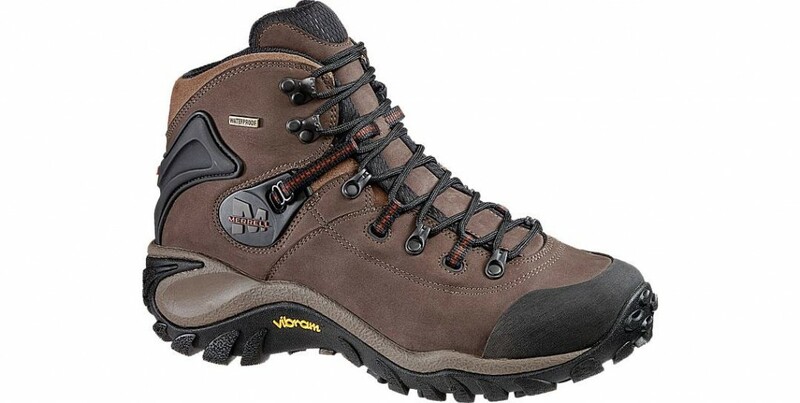 A true heavyweight from Merrell, when compared to other brands available. From Day 1 to Day 3 when we reached Base Camp Stok Kangri at 16300 ft, and then over Day 4 & 5 when we summited (20187 ft), we encountered varied terrains. We had easy walking but large expansive meadows, slushy trails, gushing, wide and voluminous streams to cross, rocky paths, massive inclines and descents (the ascent to Stok La from under 13000 ft to 16000 ft and then the descent to Mankarmo at 14000 ft on the same day) besides long days and hours in the outdoors. Then, there was also the question of tackling snow, glacier moraine and a glacier! It was extremely important to have a boot which could weather all terrains and conditions, not only from a comfort perspective, not only from a warmth perspective, not only from being snug, but equally importantly if not more from the traction and stability angle. Merrell’s Phaser was top notch on all these parameters. It did slip though, when I tried gaining traction on thin sheets of ice enroute to the ridge. But to be fair, this would have happened with the best of boots. When I wore the Phaser Peak initially, I couldn’t believe what I’d worn. The boot looked heavy, but actually wasn’t. It felt light. There was ample space upfront for the toes courtesy the width. The heel felt firm and that was crucial for stability. The heel cushioning felt great too. Upon further research, I learnt Merrell had incorporated air cushioning. Wow! I thought that existed only in regular sport shoes. Very aggressively styled and rear heavy thanks to its massive sole, it had a generous high performance Vibram ™ layer. This I knew was one crucial element in its construction. The body’s waterproof membrane ensured it stayed impermeable but breathable throughout, and so even when the boot got wet, the insides stayed dry. During walking, ascending and the descent, it performed exceptionally well, never slipping once and throwing me off balance. And to top it all, the feet and legs were never strained (bad shoes can do that!). If I had my way, hell I would have worn them even to bed! There were two problems which I had. The laces kept opening up at regular intervals and this was most irritating. Maybe this was a problem with my pair and so can’t be generalised. And second, due to its broad rear, we had a tough time fitting crampons to it, compared to the other shoes that my team mates had worn. The crampons eventually fit the base of the shoe after a lengthy struggle. Verdict: You don’t buy trek boots frequently. If you want a high quality product, then the Phaser Peak I highly recommend, even though they are priced high. They are built for adventure. I chanced on these at the North Face store in London. I needed a good trek pant and they fit the bill. The requirement was to get a high performance product which would be light, soft, stretchable, breathable, water resistant, windproof and abrasion proof at the same time. Weathering tough conditions was another criteria. Anyone would agree, these are too many attributes to satisfy. The Apex addressed all these and that was a huge plus. There wasn’t any need to look for alternatives. I purchased two of them. My first experience wearing them was in 2012 on the Annapurna Circuit and Base Camp journeys, when I spent 22 days in the outdoors. I had worn one pair continuously for 13 days and nights and the other similarly for another 9. They were the most durable pants I had ever worn. Snow, rain, slush, mud, water; the pants withstood everything I threw at it. A winner all the way. The Northface Apex once again swung into action on the night prior to the Stok Kangri summit (6153 mtrs/ 20187 ft). By now, I knew how they performed. But that night I had to keep myself warm. So I wore both my pairs as layers. I reckoned I would bulk up. However that wasn’t the case courtesy the pants’ soft shell character and its exceptional cut. It still made me look lean on the legs. Movement was smooth and easy and the warmth (windproof) they provided ensured the cold was never a problem. Another advantage they have is how easily they roll up whilst packing. This, as all adventurists like me will agree, is so important. You want to pack in just the right amount of gear while consuming as less space as possible in your backpack. Together with this, the pants’ zipped enclosures (two side pockets and one thigh pocket), its ankle zippers with snap closure, the ankle cords to ensure a snug fit over big boots and its elastic waist with a belt in tow are good practical add-ons. 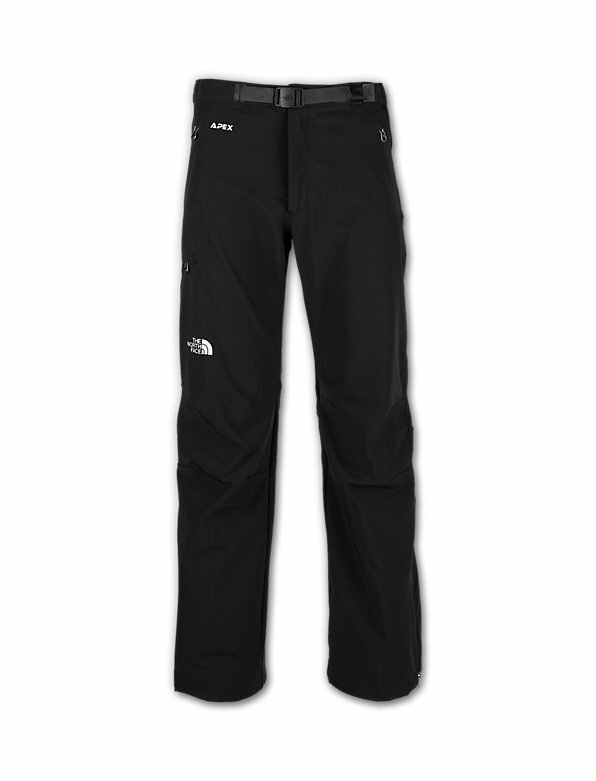 Verdict: Look no further for an outdoor pant for all conditions. The North Face Apex it is. My search for a full sleeved tee for the Stok Kangri expedition ended when I was offered the chance to wear Merrell’s Trimaran Half Zip. I grabbed this opportunity, for I definitely needed full sleeved tees in my armoury. The Trimaran’s were a godsend. Merrell let me take two of them for the journey and I wore them through the 7 days on trail. This was again a high performance product which had been developed. Not for one reason but across multiple counts. To begin with, they had a superb aerobic fit. Sharp and snug. The fabric was the softest I had worn and the tees had a great design too. When walking high altitudes, it’s important to have a tee which wicks away moisture easy and fast. This ensures the body remains dry and the chances of catching cold due to sweat reduces significantly. The Trimaran did this to perfection. Never once did I have to cool off due to excessive sweat. And one does sweat profusely at higher altitudes due to a very strong sun during the day. In addition, the soft fabric ensured there was zero friction with the skin, especially on the shoulders which has the weight of the backpack straps. On summit night, in addition to the thermal inners I had worn, I layered myself with both the Trimarans. This ensured the heat generated would be trapped within and I would keep warm. The comfort factor was incredibly high through the 15.5 hours that I was away from base camp. I could also zip the tee till just under the chin. The protection offered by the half neck was a thoughtful addition. Verdict: A tee that’s useful to wear indoors and outdoors for all sporting requirements. The outer shell is perhaps one of the most crucial to focus on during night surges in expeditions or during high altitude treks which involve heading out in the dark. A good protective outer shell is often a life saver. I have always trusted and used the Mountain Equipment ‘Annapurna’ down jacket at times like these and I am glad I purchased it when I did. This time for the summit expedition however, it was different. Merrell wanted me to take their Adventure Rest Ridgeland Hoodie instead and give it a try when I wanted to. I was a bit sceptical at first on whether it would keep me warm enough and had decided that I would wear it only at camp site each night, not wanting to risk the final summit night. Eventually I decided to wear it even on the night of the summit. Merrell lists the Adventure Rest as a mid-layer and here I was attempting to take it above 6000 mtrs as an outer shell. Two things went in its favour. First, the jacket wasn’t bulky as compared to a normal down and what’s more it was incredibly light. Added to these was the insulation it promised to give. The product specs stated, it used Primaloft ® Eco ® SYNERGY with Primaloft ® virgin fibres to deliver thermally efficient insulation. This I had to try and what better than on a summit night. It was a brave decision and one which I do not regret today. The insulation was terrific and kept me warm. The comfort levels once again were superior, largely due to its weight or the lack of it! What an incredibly light jacket it was. What I couldn’t test was its water resistant character. It didn’t snow or rain that night or even on the nights at the campsite. But I am sure the jacket would have held up. What went against it was a lack of a hood to cover the head, ears and face. The one which I wore didn’t have one. But I believe Merrell has an Adventure Rest with a hood. That i will definitely use on my next trip. Other than this its performance was almost too good to be true. 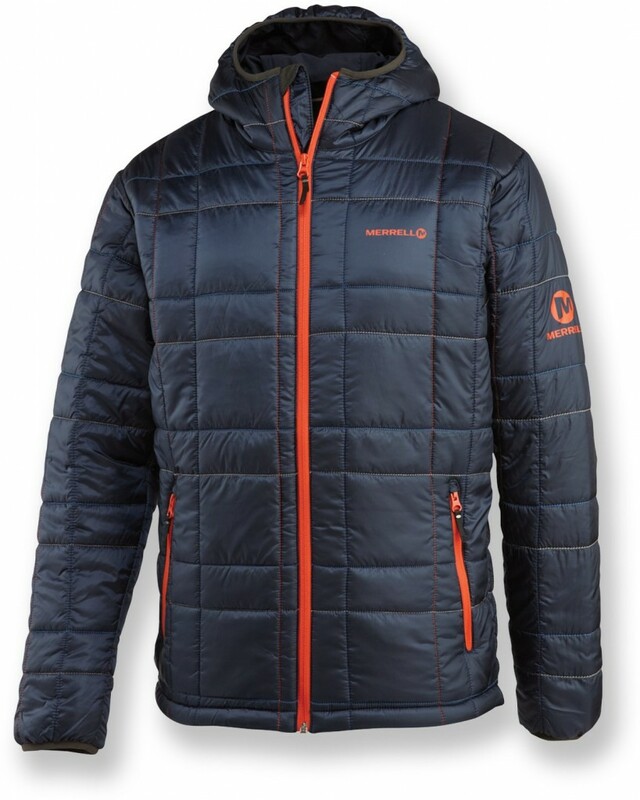 Verdict: Use the Adventure Rest as a mid-layer if you have to or test it as an outer shell. Whatever you do, remember you’ll carry the lightest portable warmth to the outdoors and that’s something! This entry was posted in Events, Latest Journey and tagged Adventure Rest Ridgeland Hoodie, Gear, Jackets, Merrell, North Face, North Face Apex, Outdoor Gear, Phaser Peak Waterproof, Stok Kangri, Summit, Tees, Trekking Pants, Trekking Shoes, Trimaran Tees. Bookmark the permalink.